Here below we are bringing you our list of the Top 10 amazing facts about New York City in USA. Things, that you should be aware of or you should know before you would decide to travel to this incredible place that can offer you various ways how to spend your holidays there. If you are kind of person that wants to visit the most exotic places still with low budget you should also check our list of top exotic destinations you can afford! Althought New York is possibly the most storied city on the Earth, major hub of commerce from where “the big” decisions affecting wide world are made there still remain few interesting facts about New York that are hidden to the wider world. New York City is one of the most amazing cities in the world. Here are some interesting facts about this fascination city that you might not know but may attract you if you are planning to fly there. One of the ways how to book cheap flights to New York is to follow our web – check our latest promotional deals to New York here. 1. The “cheapest city” in the history? Dutch explorer Peter Minuit purchased the island of Manhattan from the Lenape Native Americans for trinkets and tools worth about $24. Another amazing fact about New York City is that In 1698, New York City only had a population of 4,937 people. New York City served as the capital of the United States in the 1780s before it was moved to Philadelphia and then Washington D.C. The first known name for Manhattan was New Amsterdam, which referred to the southern tip of Manhattan, a Dutch trading port. The English conquered the city from the Dutch in 1664, and New Amsterdam became New York. 36% of the current population of New York City was born outside the United States. More than 47 percent of New York City’s residents over the age of 5 speak a language other than English at home. Since 2005, New York City has the lowest crime rate of the 25 largest US cities, and one of the safest cities in the US overall. And have you know that travelling with a baby does not protects you to visit even such an exotic places as Bali in Indonesia is? First subway line was opened in 1904. Nowadays the New York subway system is the largest mass transit system in the world with 468 stations and 1355 km of track. There are in total 26 routes with 6,200 subway cars. 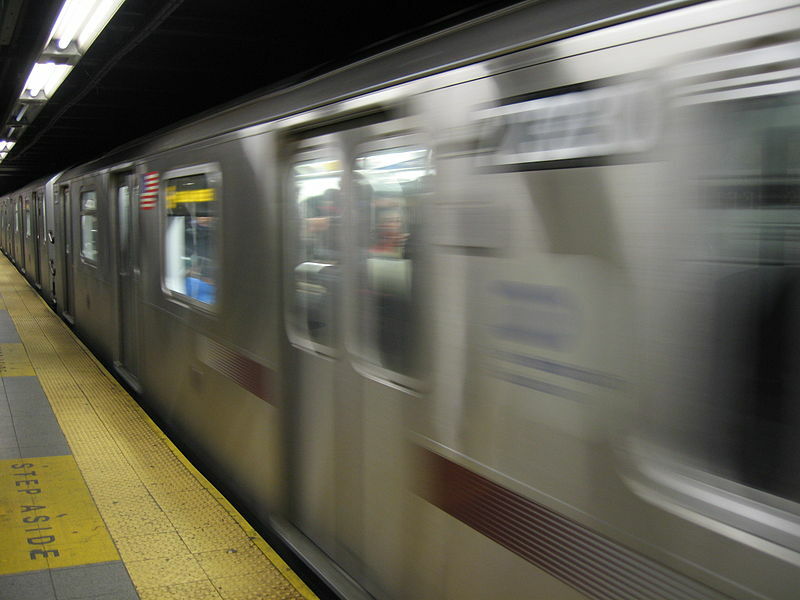 Unlike most major subways systems around the world, the New York Subway runs 24 hours a day. What also makes the underground system unique is that actually 40% of the subway system is above ground. Around 5 milion citizens ride the New York subway each day. So want to give a try to get through this largest subway in the world? The flights to this one of the most demanding destination might be cheaper than you thought, you just need to figure out few basic tips for cheap air tickets.. But also protect yourself agains the things the airlines will not tell you..there is no reason to pay more than necessary.. The New York City Marathon is the largest in the world, with 37,850 finishers in 2006. Central Park attracts 25 million visitors per year. The Federal Reserve Bank on New York’s Wall Street contains vaults that are located 80 feet beneath the bank and hold about 25 percent of the world’s gold bullion. Although many legends exist about the origin of New York City’s nickname, the Big Apple, most historians agree that it can be traced back to a writer who covered horse racing in the 1920s. In The Morning Telegraph, he wrote that stable hands often referred to New York as the Big Apple, meaning that any thoroughbred that raced in New York had reached the pinnacle of racing. New York is indeed one of the most visited cities in the world most of the people are dreaming to visit.. so why not to check out our next article tips for budget traveling..? Have we already changed your mind and you are eager to visit this place on your next holidays! More than 13000 licensed medallion taxis work the streets of New York City. It costs approx one million dollars to get license (medallion) to operate a taxi cab. Another amazing fact about New York is that the city witnesses around 40 thousand of street food vendors and more than 20 thousand other vendors can be found. Huge majority of them are local people that have work permit in New York City but can not find proper job so they are using their skills to earn lively hood. By simple calculation you can find out that there are about 25 to 35 vendors selling different stuff at each street of New York! 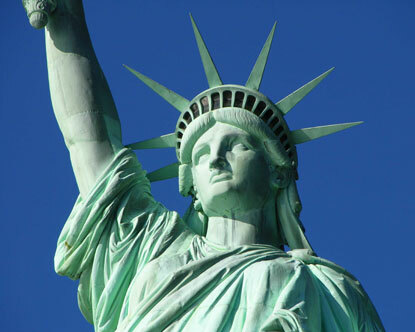 The statue’s full name is Liberty Enlightening the World and it was a gift from France, given to America in 1886. From the ground to the top of the torch the statue measures 93 metres, and weighs 204 metric tonnes. The Statue of Liberty became the symbol of immigration during the second half of the 19th century, as over 9m immigrants came to the United States, with the statue often being the first thing they saw when arriving by boat. With its mountainous natural beauty, diverse urban culture and fascinating history, New York truly has something for everyone. So are you good to go to visit this incredible city full of amazing places? Check out our best tips for cheap flights and air tickets to figure out that even such an exotic destination is possible to visit for a budget airfare! To compare the cheapest deals to New York we recommend Google Flights. Stay tuned and check out regularly our daily tips and deals of cheap flights from European countries to rest of the world, we at Flynous.com want to proove that reaching even the farthest corners of the world is possible even for casual people! Flights to New York City are pretty affordable for most of European citizens however why to pay more than necessary? If you are patient enough, there appears some good tariff or even cheap error fare flight and your dream may become reality..!